With a Chapter 13 bankruptcy, you can stop the foreclosure process dead in its tracks. However, if you want to keep your home, you will have to catch up on all of your back payments through a Chapter 13 reorganization plan. Provided you have a steady source of income, Chapter 13 will allow you to create a manageable monthly payment that combines your current mortgage payments, your back payments (arrears), and any other debts you have. You will have 36 to 60 months to catch up on your mortgage debt through this payment plan. How Long Does It Take To Stop Foreclosure? Mortgage lenders issue foreclosure summonses only after a borrower has fallen behind on payments. Their intent is to take ownership of the house and sell it at auction to recover a portion of their loan, leaving you responsible for the balance due (the deficiency) after the sale. If you have received a summons, you have approximately seven months to stop your home from being sold at a foreclosure sale. You should meet with a lawyer to discuss your options as soon as possible. The longer you wait to file for Chapter 13, the more arrears you will have to pay back. This will lead to a higher monthly payment, and you will have a smaller chance of gaining court approval for your bankruptcy repayment plan. At Billbusters, Borges and Wu, LLC. we help clients with a wide range of mortgage defense and mortgage assistance issues. As lawyers, we are able to use legal means of stopping a foreclosure that other “debt relief agencies” cannot. We are prepared to help you get your debt problems under control while keeping your home. We are the BillBusters, we’ll help stop foreclosure on your home! There are quite a few options for homeowners who are behind on mortgage payments. Unfortunately, misinformation and unethical business practices mean that homeowners are often uncertain as to what they can actually do to keep their home or investment properties. Legislation concerning property ownership varies from State to State, and that applies to Foreclosure Law as well. Individual State foreclosure laws provide for one of two routes for lenders to obtain relief, namely Judicial and Non-Judicial Foreclosure. This, in turn, depends on the method that the lender used to secure the collateral for the loan. Where the loan involves a Deed of Trust then banks may choose to follow the cheaper Non-Judicial route. Where a mortgage is required, the lender must follow the more expensive and longer Judicial Foreclosure route. A consumer should find out which State law applies to them before they sign, and especially before they file for bankruptcy. The following is a broad-based summary of how these two foreclosure procedures work in principle, and may not be correct in all detail from a particular State. Where a mortgage loan applies, a bank is legally required to take their complaint to Court. However, they may not move forward with foreclosures until they have explored refinance, debt consolidation, short sales and mortgage modification options with the borrower. Following a letter of advice and a specified waiting time, the Court then hears the case and reaches a decision. There are two important things to note here. The first is that an undefended action usually goes in the complainant’s favor. The second is that a Court decision concerning foreclosures on mortgage loans often carries with it right of appeal. Foreclosures proceed without Court intervention because the Deed of Trust already allows banks to foreclose and create another reo home. This swifter process involves just a Notice of Default and a Notice of Sale before the property is sold. Consumers participating in this procedure are advised to consult a bankruptcy law firm as urgently as possible unless they can negotiate a solution directly with their lenders. This is an important step to consider very carefully because foreclosures done this way are irreversible in some States. We understand that no two situations are the same. Our lawyers will work with you personally to get an in-depth understanding of your situation. We will tailor a debt relief strategy that suits your unique legal goals. Learn about your options. For some people, bankruptcy is the best way to stop home foreclosure. For many, however, other options are preferable. Many law firms will try to push you into bankruptcy, but our firm will help you explore all of your mortgage assistance options. There is more than one way to save your home. Explore loan modification. We can assist in seeking loan modifications that can benefit you in the long run. We will help you avoid home foreclosure through loan modification and other mortgage assistance options. Fight the foreclosure process, when and where applicable. 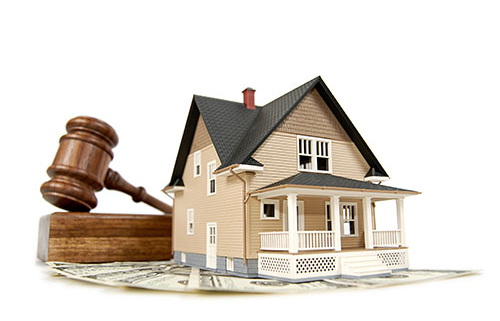 We help clients fight foreclosure and help them save their homes, exhausting all possible legal methods. Understand forbearance agreements. Another option is a forbearance agreement. This is when a lender agrees to delay payments for a short period of time, giving the homeowner time to recover financially, then allows for a short-term repayment plan of the past due mortgage payments. Restructure your mortgage. Many people choose to fight foreclosure on their own but quickly find themselves out of options while negotiating with savvy loan managers and debt collectors. In offering mortgage assistance, our Chicago mortgage assistance attorneys can give you an experienced legal advocate who knows the law and is equipped to negotiate mortgage restructuring on your behalf. Negotiate a short sale. A short sale is when the homeowner sells the property to a third party for less than the amount of the outstanding loan. At the same time, the lender agrees to this as debt paid in full. Agree to a deed in lieu of foreclosure. This is when you deed your property back to the mortgage lender and avoid having a foreclosure on your record. Protect yourself. Do not let anyone take advantage of your situation by luring you in with false promises. Protect yourself and obtain an experienced Chicago mortgage assistance attorney instead. Know the truth about HAMP. We can answer any questions you may have about foreclosure defense, the Home Affordable Modification Program (HAMP) and other government programs. The sad reality for many people facing foreclosure in Chicago is that government programs and non-attorney debt-relief advocates have only made the problem worse. Having an experienced foreclosure assistance attorney protecting your rights can make all the difference between keeping and losing your home. We also advise that you be very wary of out of state companies who promise assistance. These companies can make endless promises, but who knows who you are actually dealing with. Wouldn’t you be more comfortable meeting with an actual local attorney, being able to look them in the eye and get your questions answered directly when it comes to dealing with issues regarding your home? We certainly believe so.